Your favorite DC Comics super heroine, Harley Quinn, has been themed in a retro, 40's pin-up style and put on a collectable pin. 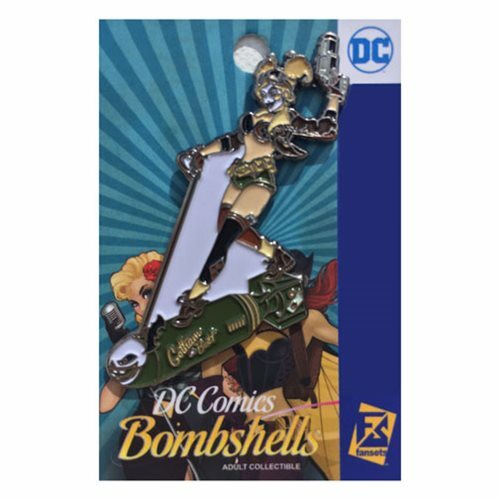 This DC Bombshells Harley Quinn Pin shows her riding a bomb with a gun in her hand. This pin measures about 2-inches tall and is bound to add pop to an outfit or a collection.